From Version 4.01 you can use the Stop Watch as a Giant Windows Desktop Digital Clock. You can also use the program parameter! Please use ... always the latest version of the Windows Stop Watch. (Image-1) Very large windows desktop clock! 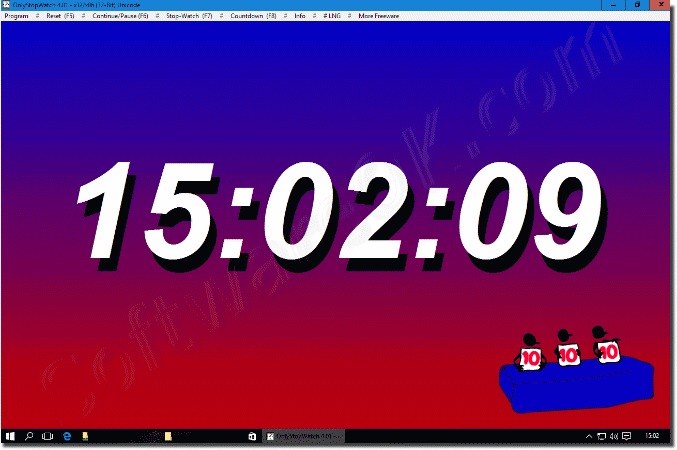 OnlyStopWatch - FAQ-5: How to use large windows desktop clock?